Wegmans: Do what you love, love what you do! As one of Fortune’s “100 Best Companies to Work For,” Wegmans has a stellar reputation for keeping their employees happy. With an ever-expanding list of grocery store openings, building out the Wegmans workforce is a continuous cycle. 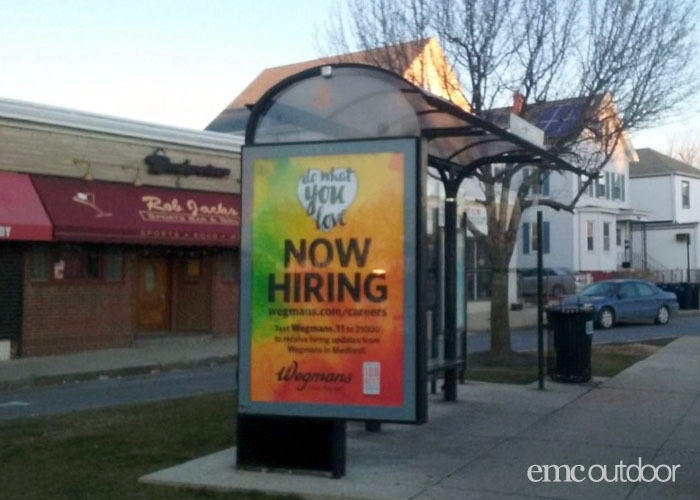 Wegmans and their agency teamed up with EMC Outdoor to reach pockets of neighborhoods in Medford, MA for a recruitment campaign. 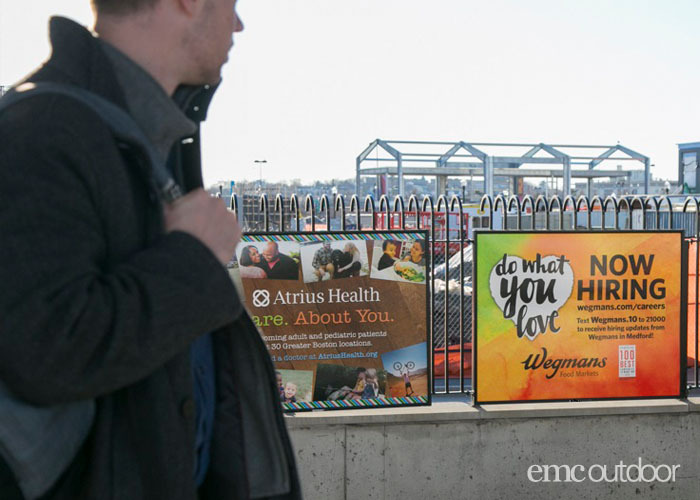 Based on the location of the Wegmans, EMC Outdoor examined reaching the local audience within a 15 to 20-mile radius of the opening store. 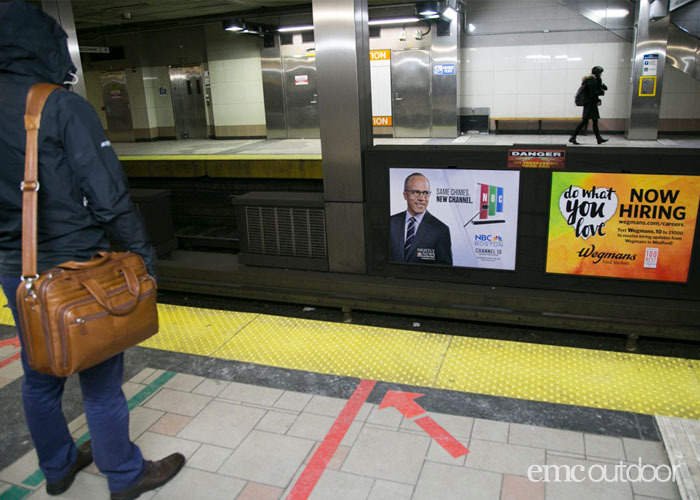 Looking at the average commute time, EMC Outdoor was able to make recommendations for media that would target those in transit around the opening location. 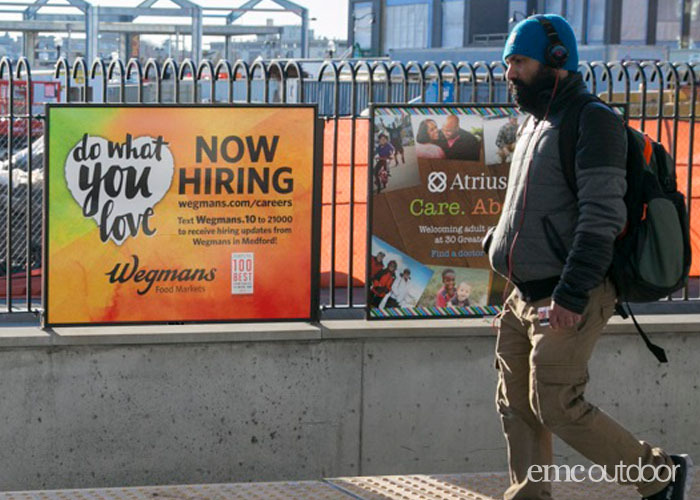 Strategy: To utilize different aspects of commuter out of home media to reach the target audience as they commuted within the set radius of the opening Wegmans. 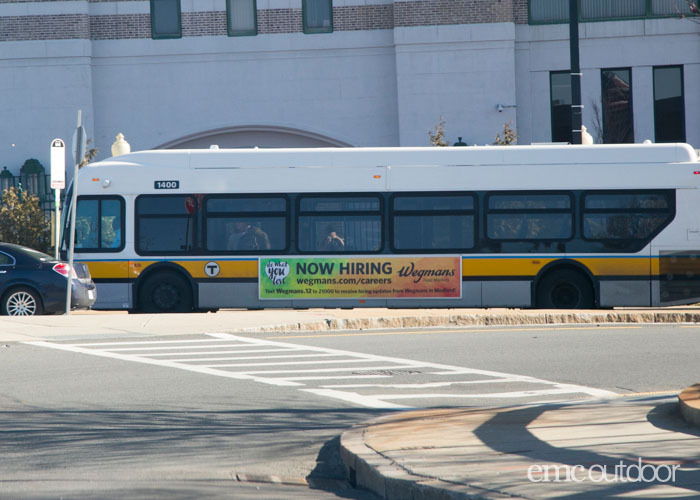 Tactics: To reach the intended demographic, EMC Outdoor looked to meet this potential workforce through their daily commutes by utilizing bus media, commuter rail posters, as well as transit shelters. The media chosen was based on the zip codes that held the specific neighborhoods Wegmans wanted to target. This included looking into specific stations within the neighborhoods, as well the coverage that bus lines would offer around the neighborhoods. 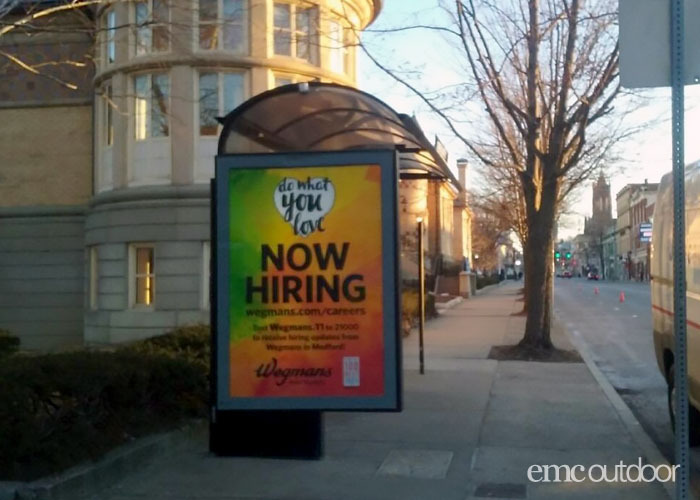 Results: The colorful creative caught eyes across the intended neighborhoods throughout the 15 to 20 mile radius and boosted awareness that Wegmans was hiring. Contact us to learn more about how EMC Outdoor can help you nurture a recruitment campaign and reach your target audience in unique and memorable ways! 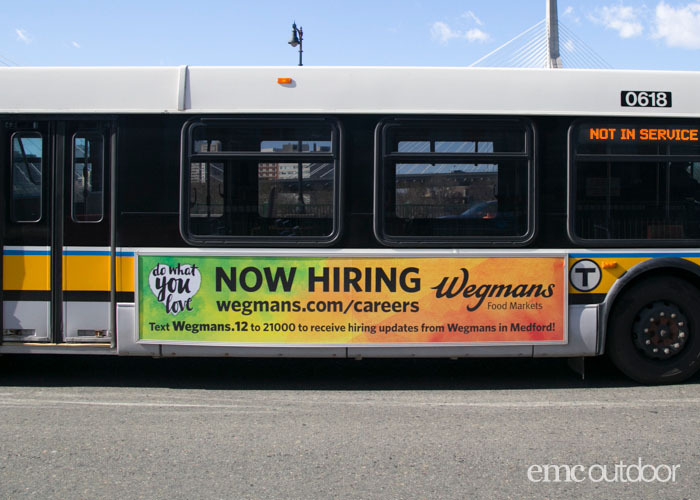 May 25, 2017 | Filed under Bus Advertising, Commuter Rail & Subway, Featured, Traditional Media, Transit Shelters and tagged with Boston, bus media, commuter rail, out of home, out of home advertising, outdoor advertising, rail posters, recruitment, transit media, transit shelters, two sheets.